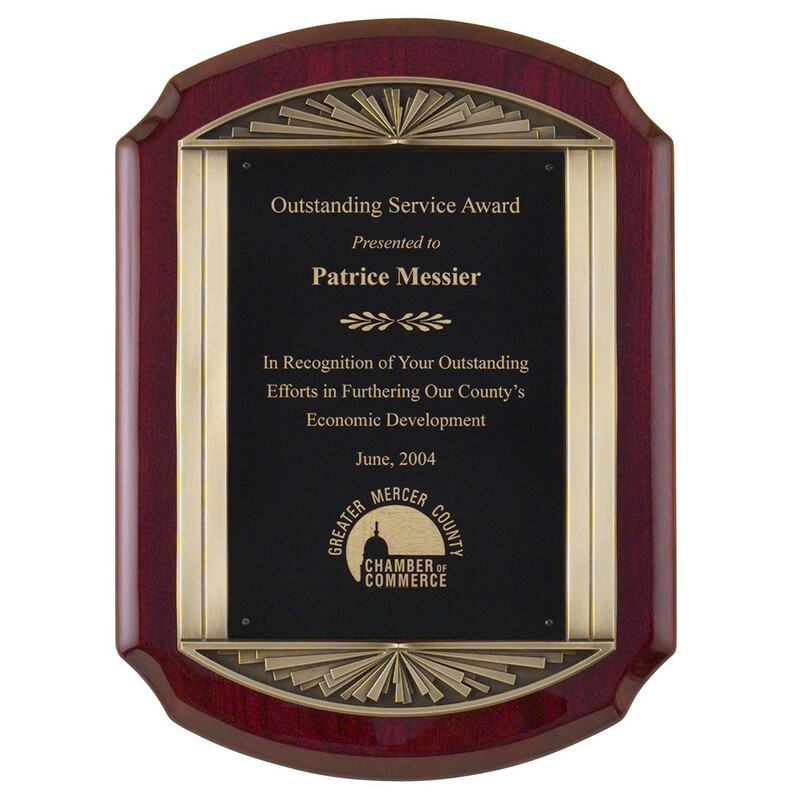 Show your appreciation in style with the Rosewood Antique Bronze Framed Plaque. This piano finish, rosewood stained plaque backs an antique cast bronze frame and engraving plate. The bronze frame has an elegant design drawing attention to this beautiful award. Production time for this product is 3 business day(s); expected pickup or shipping date is 04-23-2019.